Complete design of the entire website including graphic design work on all elements as well as logo creation and other elements. 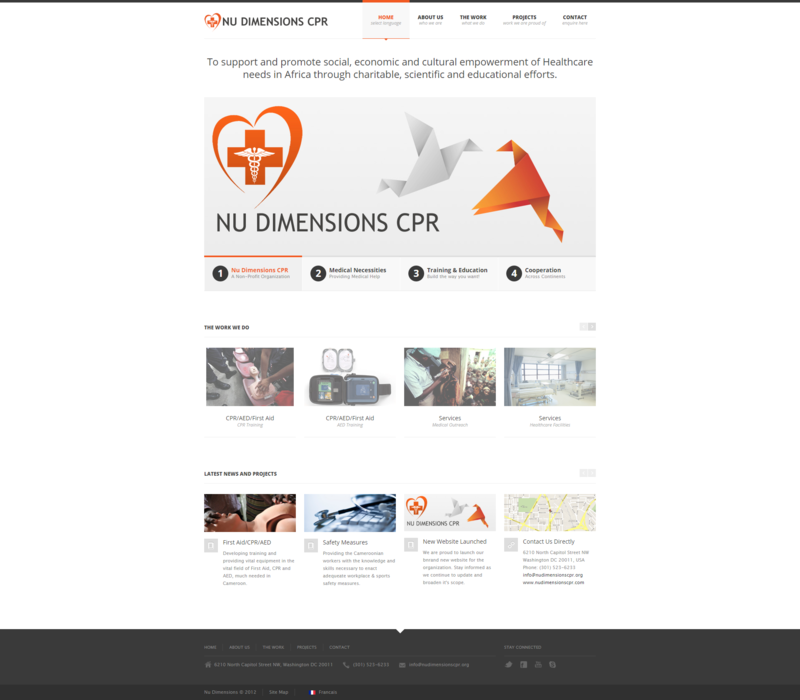 Nu Dimensions CPR main goal is to support and promote social, economic and cultural empowerment of Healthcare needs in Africa through charitable, scientific and educational efforts. They also look to promote nation-wide Sensitization, Education and Implementation of First-Aid, Cardiopulmonary Resuscitation (CPR) and External Defibrillator (AED) Training and Certification in the USA and Africa-with goal to save lives and grow a strong/lasting, productive and fruitful labor force and community.